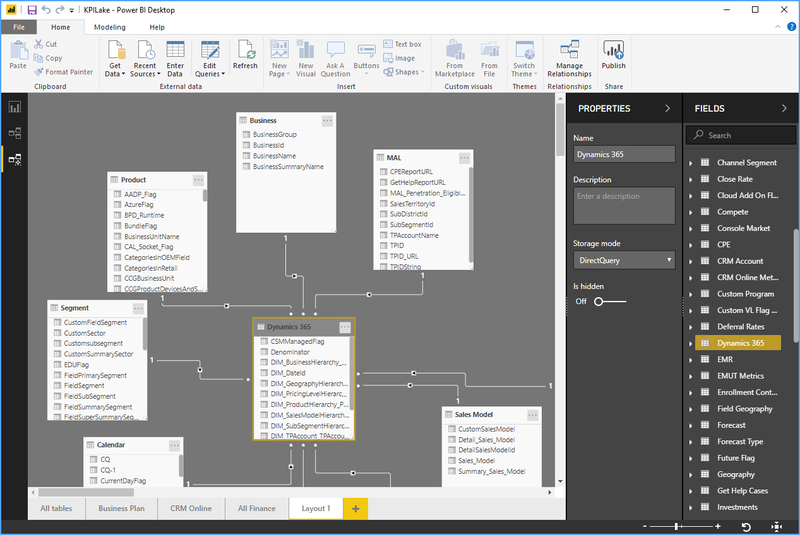 With the Modeling view in Power BI Desktop, you can view and work with complex datasets that contain many tables. 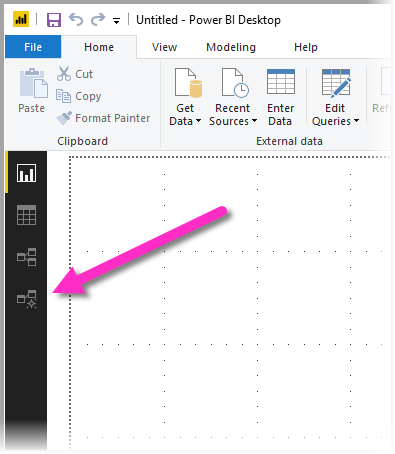 To access Modeling view, select the Modeling view icon found on the left side of Power BI Desktop, as shown in the following image. With Modeling view, you can create diagrams of your model that contain only a subset of the tables in your model. This can help provide a clearer view into the tables you want to work with, and make working with complex datasets easier. 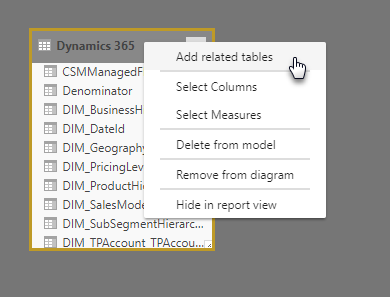 To create a new diagram with only a subset of the tables, click the + sign next to the All tables tab along the bottom of the Power BI Desktop window. You can then drag a table from the Fields list onto the diagram surface. Right click the table, and then select Add related tables from the menu that appears. When you do, tables that are related to the original table are displayed in the new diagram. The following image shows how related tables are displayed after selecting the Add related tables menu option. You can select multiple objects at once in Modeling view by holding down the CTRL key and clicking multiple tables. When you select multiple tables they become highlighted in Modeling view. When multiple tables are highlighted, changes applied in the Properties pane apply to all selected tables. 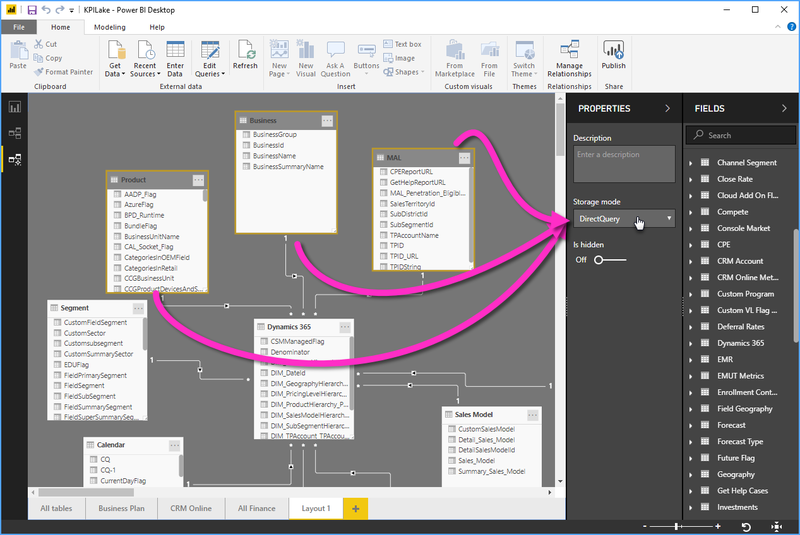 For example, you could change the storage mode for multiple tables in your diagram view by holding down the CTRL key, selecting tables, then changing the storage mode setting in the Properties pane. The following articles describe more about data models, and also describe DirectQuery in detail.